R&S Erection of Concord > Blog > Garage > Is it Time to Repair or Replace that Garage Door? Is it Time to Repair or Replace that Garage Door? In a perfect world, garage doors would be a once in a lifetime purchase. Unfortunately, that’s not always the case. If you’ve moved into a home with an ancient garage door, or one that was cheaply made, you may have a hard time deciding whether to repair or replace it. Here are a few signs that it’s time to replace, rather than repair, your garage door. Still not sure? Feel free to contact us here at R&S. We will always give your our honest recommendations, starting with the most affordable options first. It’s a Manual Garage Door. Do you have one of those old, heavy, wooden garage doors? The kind with the spring-loaded action but no automated parts to speak of? If so, it’s time to upgrade. First, getting in and out of your car each time you have to open your own garage door is a pain and while you should be proud for holding out all these years, you’ll feel even better when you simply push a button and the door opens for you. Even more importantly, those garage doors are dangerous. There are no safety mechanisms in place to protect the people, pets and toys you love from the trauma of a slammed garage door. It’s time to upgrade to an automated garage door. We’re confident you’ll never regret it. It Suffered Serious Damage. Sure, your garage door might operate alright since you accidentally backed into it – but that probably won’t last for long. Once a door has been significantly dented, cracked and/or punctured – the days of reliable, smooth and quiet opening/closing are numbered. Exterior damage will begin to take an irreversible toll on the door’s automatic functions, and any perforations in the metal will cause door parts to deteriorate. Your Automatic Door is More Than 15 Years Old. Odds are a garage door that is 15-years old or older lacks important safety and efficiency features. Does your door automatically lift if it senses an object or person in its direct path? Does it automatically retract if it makes contact with a person or object? If not, you should replace it. Is your water heater housed in the garage? What about your HVAC system? Modern garage doors have efficient insulation and sealing options that can save you on your utility bills and create a more comfortable garage space. Repeat Garage Door Service and Repair Costs Are Adding Up. No garage door is perfect. They are mechanical systems and they are exposed to the elements. Therefore, a little annual maintenance and attention will be required for any garage door. However, if your garage door acts up on a regular basis, and/or you’ve had to call the service technician more than once in the last several months, it may mean you’re ready for a replacement. You’ve Converted Your Garage Into a Living Space. Many homeowners opt to convert their garage into a more livable space – be it a man cave or a hobby shop. If that’s in your future plan, it’s time to begin shopping for garage doors that offer the sound and weatherproofing you’ll need to be comfortable. Your Home Just Got a Facelift. Have you recently renovated or added on to your home? Often, that means the exterior gets a facelift as well and your current garage door may no longer cut the muster. You’d be amazed at the different styles of residential garage doors available, from steel-core doors that look just like real wood to high-end, solid wood carriage house garage doors, choosing the right door for your home’s architecture yields greater curb appeal. 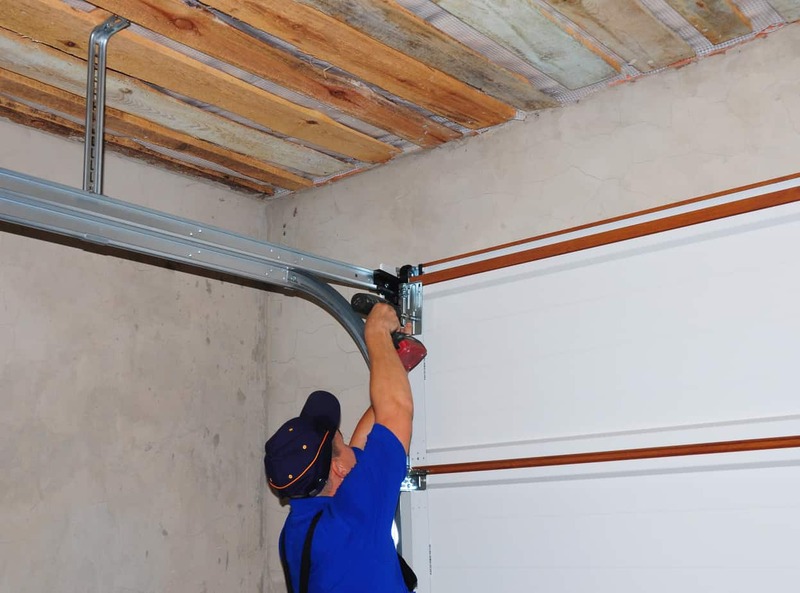 Suspect your garage door needs to be replaced? Contact us here at R&S and we’ll be happy to stop by and provide a free estimate. (925) 671-7606.